After more than one year of development and athlete testing we are proud to unveil the BigAirBag® LANDING which is set to once more redefine athlete limitations and advance progression in freestyle action sports. The revolutionary design and fully customizable shape means the jump bag adopts the contour of the landing area it covers, providing fall safe protection at the knuckle, on the landing ramp itself and finally in the run out area. 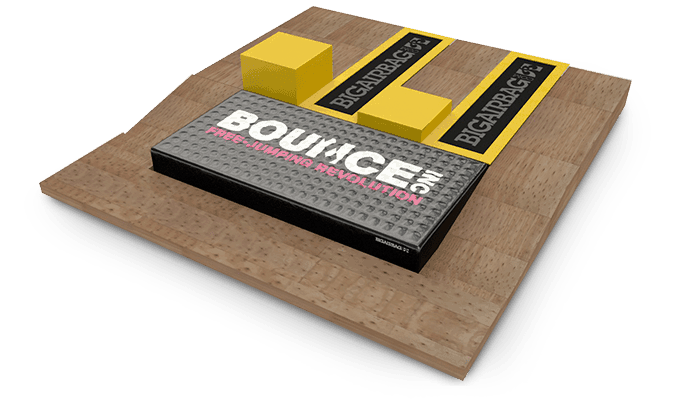 The result is an ultra realistic training platform that mimics a real landing ramp delivering better impact absorption than a foam pit while still remaining more forgiving than a resi ramp. 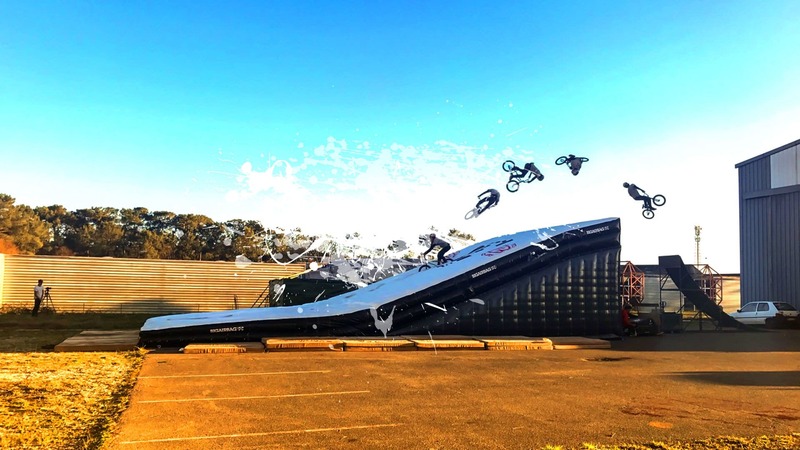 It is firm enough for you to land and ride away from, but if you bail the BigAirBag® LANDING will catch your fall and protect you from injury. 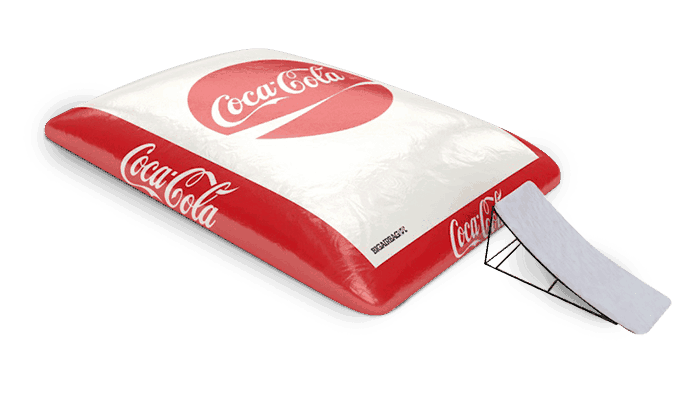 The shape and size of the BigAirBag® LANDING are fully customizable meaning it can be manufactured to cover virtually any landing surface, ramp, hill or contour. 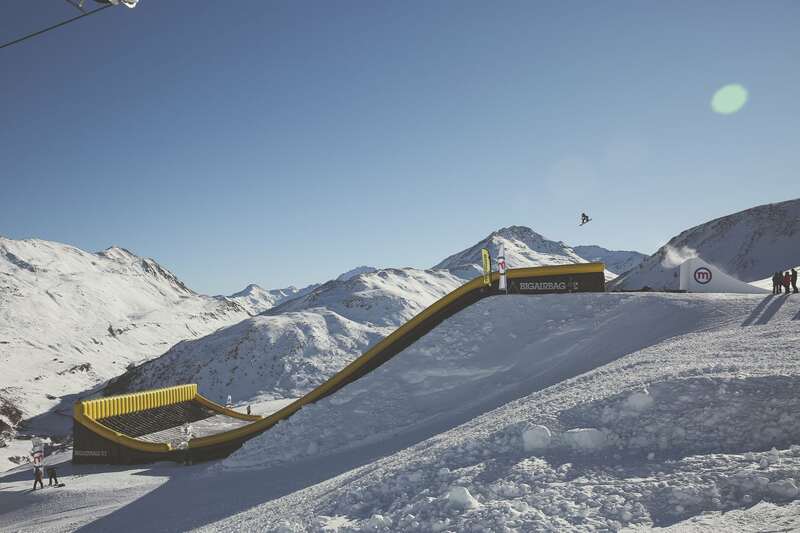 An inflatable safety barrier can also be added on the sides of the landing area to prevent riders from sliding off the BigAirBag®. This is particularly beneficial if you have limited space or if it is placed on a landing ramp. Multiple adjustable air valves allow for precise and independent adjustment of the firmness of both the upper and lower airbag chambers depending on athlete preferences and training targets. Only the most advanced, flame retardant German made materials have been incorporated in the BigAirBag® LANDING to provide you with unrivaled durability, strength, reliability and good looks. Flame retardant and heat resistant composite fabrics have been incorporated to cope with the extreme demands of motorized sports such as freestyle motocross. The highly advanced Topsheet material combines essential properties such as strength, durability, flexibility and elasticity. 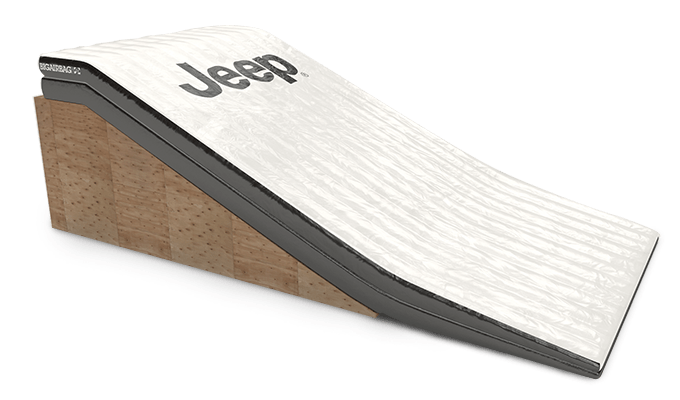 It is neither grippy, nor abrasive allowing you to land and ride away even with sharp ski and snowboard edges. For the ‘flatland folk’ out there we have even developed custom inflatable ramps so that you can literally setup anywhere you like! 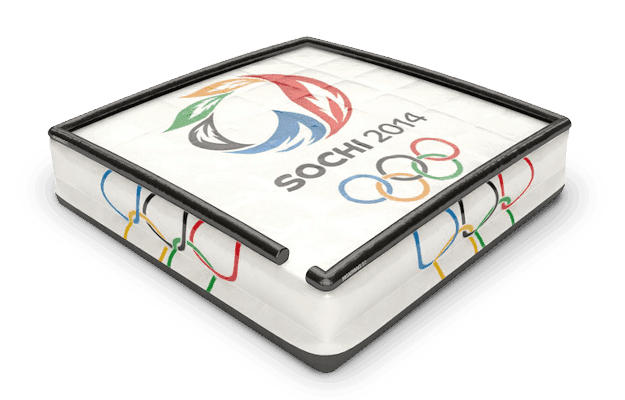 Our inflatable ramps are cost effective, mobile and ideal for setting up at events and competitions. 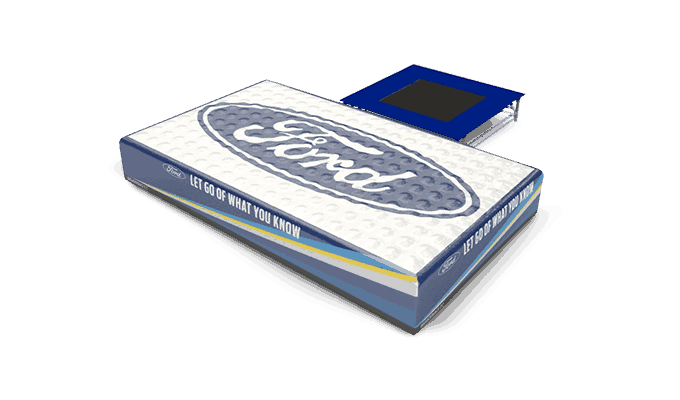 The innovative blower system is enclosed within the airbag providing protection from the elements, reduced noise, and increased safety by eliminating the risk of kinked blower hoses or unwanted access to the blowers themselves. The optional Blower Alarm System delivers further safety and peace of mind by warning the operator in the event of a blower defect or power cut. 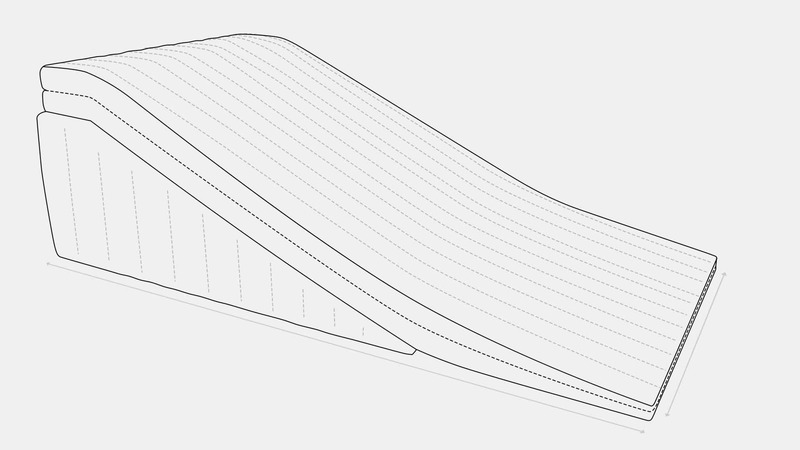 Let’s jump into details of the BigAirBag® LANDING. The BigAirBag® LANDING has a two zone impact absorbing system, each with its own internal blower system. Both zones have several air valves which allow you to adjust the zones independantly and precisely. Set up a soft upper chamber with a firm lower chamber for trying tricks for the first time. Ready for the real deal? Set the lower chamber a bit softer and the upper chamber firmer and get ready to ride out those tricks and progress! 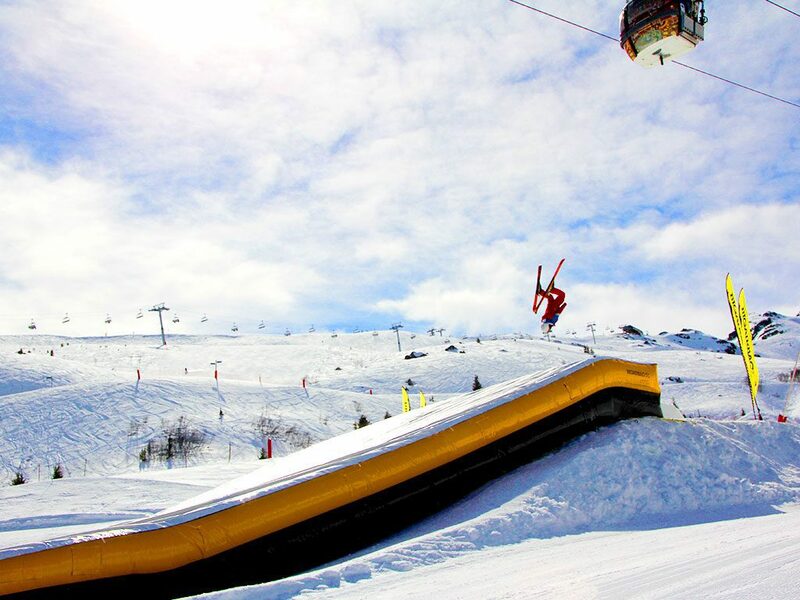 Purchase a BigAirBag® LANDING from €17.950,- / $19.950,- or inquire for our rental options. 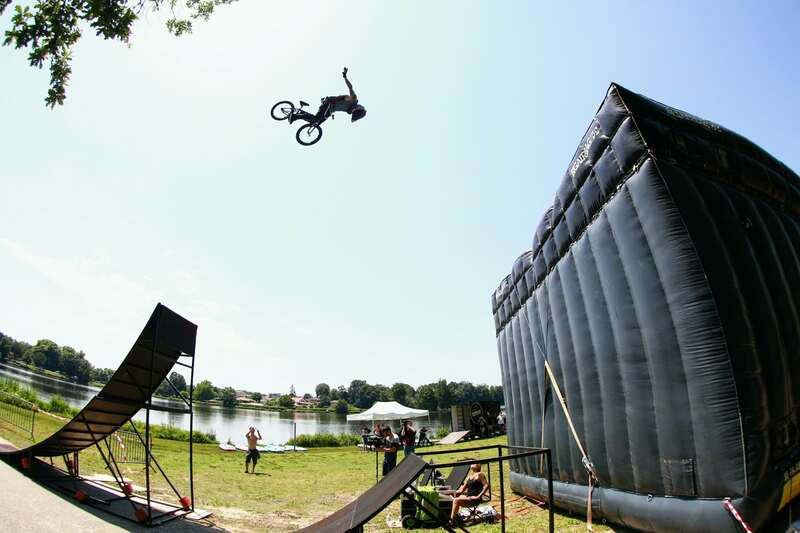 BigAirBag® is not only the safest way to learn new tricks but also makes a spectacular addition to any event. 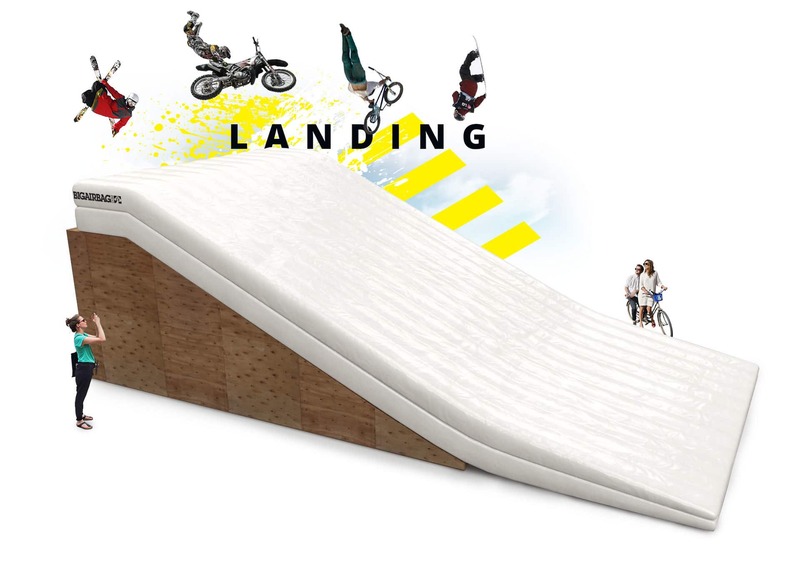 It allows riders to try and dare more than on a normal landing allowing them to progress quickly.